Waterman was born in Leeds; her father, Myer Waterman, a Russian Jew, had emigrated to England to work as a jeweler. She began to study with Tobias Matthay when she was 17; she started giving public performances, and in 1941 opened the concert season in Leeds with the Leeds Symphony Society. She won a scholarship to the Royal College of Music and studied under Cyril Smith. 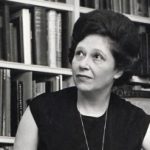 In 1944, she married Dr. Geoffrey de Keyser and in 1950, with the arrival of her first child, gave up her concert career and concentrated on teaching. Her son Paul de Keyser also became a notable musician and music author. By the early 1960s, Waterman felt that young British pianists needed a goal to give them a competitive edge with foreign pianists. In 1961, jointly with her friend the Marion, Countess of Harewood (later Marion Thorpe) and Roslyn Lyons, she founded the Leeds International Pianoforte Competition. She is Artistic Director of the competition and, since 1981, chairman of the competition jury. Her contribution to the city of Leeds was recognized in April 2006, when she was given the Freedom of the City of Leeds. Waterman was Director of the Postgraduate Certificate in Advanced Piano Performance at Leeds College of Music until 2006. Waterman has been the Honorary President of the Harrogate International Festivals since 2009.